As I mentioned last week, one of the exciting things about the New Year for me is that those of us with American Express Platinum cards get a new $200 airline fee credit. The reimbursements posted just three days later, which is fantastic! For example, this is why The Platinum Card® from American Express with a $550 annual fee (Rates & Fees), is no big deal to me for the first year — the airline fee credit is based on a calendar year, while the annual fee is based on the card member year, so it’s easy to squeeze two airline fee credits out of a single annual fee. And beyond that it essentially lowers the annual fee on the Platinum Card to $350 per year after that, which I find worthwhile for all the benefits. Anyway, just thought I would confirm that at least for American Airlines, gift card purchases are being reimbursed through the American Express airline fee credit program within three days. Hopefully this is helpful to some of you! How Many Miles Did I Earn In 2013? I’ll be cancelling my plat card when the annual fee becomes due. Can I apply for the Mercedes Benz card right after I cancel and still get the 50k points? Or do I have to wait a year until after I cancel? I can confirm the $200 credit posted for USAir gift cards purchased in 2014! I should know this, but do the credits post as the eligible expenses hit the card, or in bulk once per year? Because it now occurs to me I’ve had a bunch of DL charges and I don’t recall seeing any of them rebated. What benefits going forward? Delta lounge access? That’s about it. 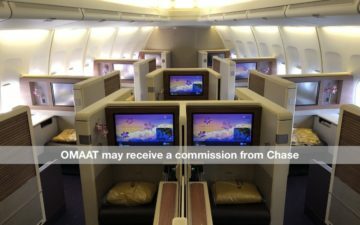 Any idea if covers American Airlines award cancellations ($150)? I think I’m going to cancel before my annual fee comes due. When they took away the US Airways/AA lounge access, they offered me nothing in compensation, while similarly-situated people seemed to get substantial credits. Lame. For UA, I did the Gift Registry instead of the Gift Cards and it was reimbursed as well. Can the AA gift cards be used at US Airways too now? AA “Gift Cards may not be used for upgrades, Admirals Club® memberships enrollments, Admirals Club One-Day passes, AAdvantage Award Travel or other non-flight products and/or services sold on aa.com.” Does AA enforce this? Got my card in May of 2013. I used it for $200 in American Airlines gift cards. This week, I changed my airline designation to Delta and used it for economy comfort seats for ATL/HNL segments in July. All of my charges were reimbursed. I also used $100 for Global Entry so my entire $450 was covered with $50 extra. I probably will cancel the card in May now that lounge access for AA is gone. I used mine for a $200 gift card on SW and it worked. I received the credit 3 days later. @ beachfan — The rules aren’t totally clear, though I do believe you have to wait at least 90 days. @ Neil S. — They post shortly after the eligible charges hit the card. @ Mike — Not only Delta lounge access but Priority Pass lounge access (as an Alaska flyer that’s valuable) and access to American Express Fine Hotels & Resorts comes to mind. @ Brian — Yep, it definitely should! @ Valerie — If it can be booked on aa.com for a revenue ticket then you should be able to use gift cards for it, in my experience. Last year for UA, a gift certificate was eligible. But looking at the FlyerTalk trend, it looks like no, but Gift Registry contributions are counting in. My Gift Registry contribution to myself was reimbursed within 3 days. Yay!!! Got reimbursed for UA Gift Registry purchase (made it for slightly above $200) at the end of 2013 since FT thread seemed to indicate that Gift Cards stopped being reimbursed. American Express did not reimburse for Delta gift cards. Also, the gift card purchases did not post until Jan. 1, 2014. Regardless of when they posted, according all posts on Flyertalk, Amex should have reimbursed them and they did not. Did you purchase the gift cards to your own name as recipient or used another person’s name as recipient? @ PY — I purchased them in my name. The gift cards that were purchased for me, were charged on a Platinum card, with a totally different name from mine. I am not impressed with Amex Platinum card benefits. Most of the benefits have all kinds of conditions that have to be satisfied before Amex provides the benefit. I am probably going to be getting rid of the Platinum Card as I am tired of the bait and switch. Anyone have any luck getting reimbursed for Alaska gift certs? @Paul – Yes don’t do the entire $200 in one transaction there are reports of not getting reimbursed that way. I bought 2 $50 gift certs on 1/3 one at a time so it posted 1x$50 then 1x$50 on the statement. Was reimbursed on 1/6. Just submitted 2 more $50 charges and expect to get reimbursed by the end of the week. I purchased 2 x $100 United gift cards on mine and my wife’s AMEX Plat on 3rd Jan – no credits have yet posted. Has anyone had luck getting this credit to apply to taxes from award tickets? anyone know if making a purchase from AA Skymall with the plat card qualifies for the reimbursement & / or can AA gift cards be used for Skymall purchases ? @ Carina — No on both counts. Didn’t work for gift card purchases made on January 14th. Called AMEX rep and they refused to issue credit for the charges. ^Frontier Airline gift card purchases.